Many startups expand internationally, sell overseas or increase outbound efforts in new markets. But how can you quickly access and use region-specific data in your outbound sales campaigns? We've made that a lot easier. The Outbound Ops Toolkit has access to regional traffic data. Use the regional traffic data to drive insights with your prospects. 1) Install the Outbound Ops toolkit in Google Sheets. 2) Source new domains from the Toolkit, or paste / upload domains from your existing data set. 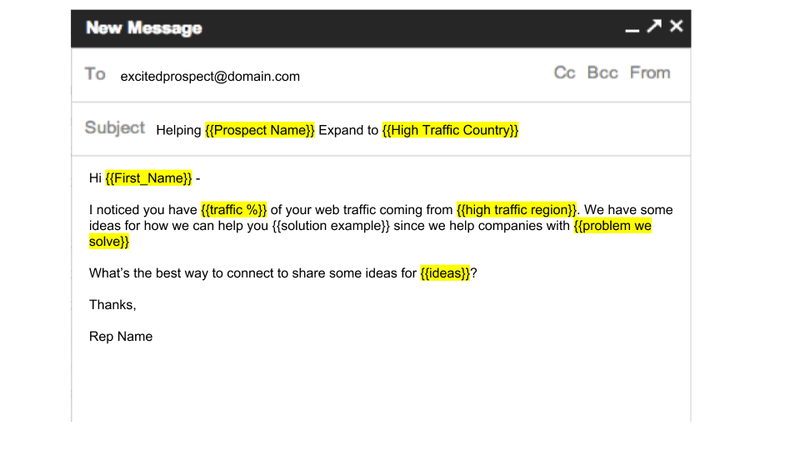 3) Include a header row, then highlight the domains you're targeting. 4) Select 'Get Alexa Traffic Data' under 'SOURCE'. 6) Use the regional traffic data to inform your personalization. Ideally you can use the regional data to drive targeting and copy based on insights you uncover.